DIPOLOG CITY, Zamboanga del Norte - The Our Lady of the Most Holy Rosary Cathedral, or Dipolog Cathedral, is the seat of the Roman Catholic Diocese of Dipolog. Its principal patroness is the Our Lady of the Most Holy Rosary*, after whom the cathedral was named. 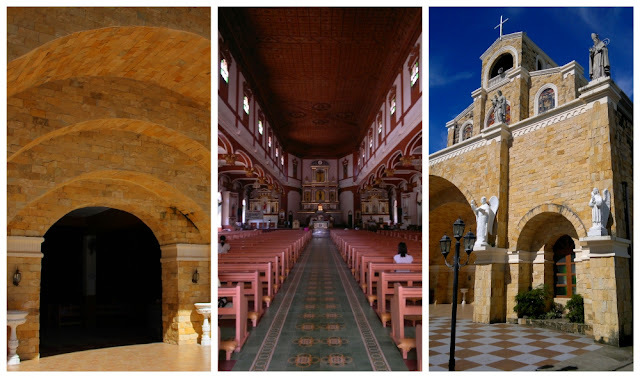 It is one of the five cathedrals within the Ecclesiastical Province of Ozamiz. The church building was constructed in 1894 and has undergone several renovations, the latest of which was in 2009 when the facade of the cathedral was covered with marble. The present altar is a replica of the retablo originally designed by Dr. Jose Rizal. The main attaction of the cathedral is the ceiling made of hardwood. After taking photos of the church building and a short tour inside the cathedral, we crossed the street to Magsaysay Park. It is your typical town plaza with a children's playground, fishball and ice cream vendors. 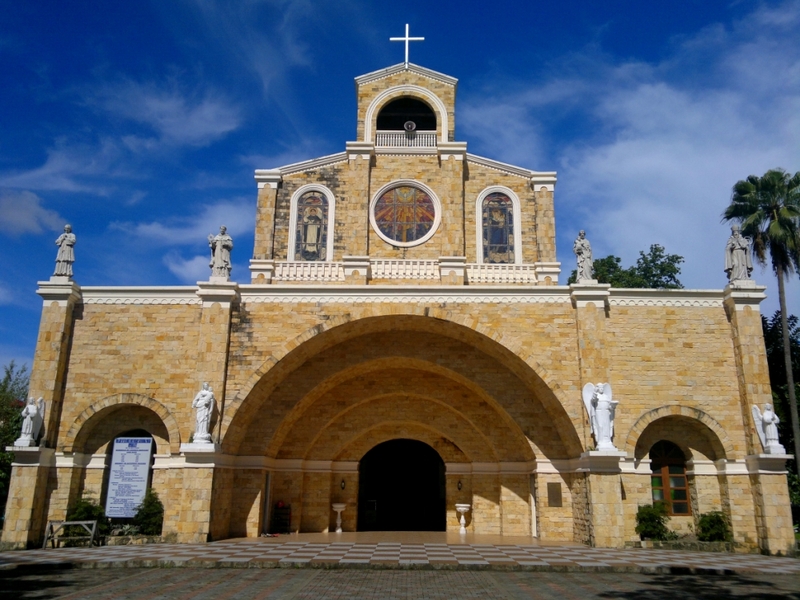 The Dipolog Cathedral is part of the Lakbay Jose Rizal @150 travel program, in celebration of the 150th birth anniversary of Dr. Jose Rizal in 2011.